Do you have photos, historical accounts or other items pertaining to the Dover area? Would you like to share this historical information with the world? 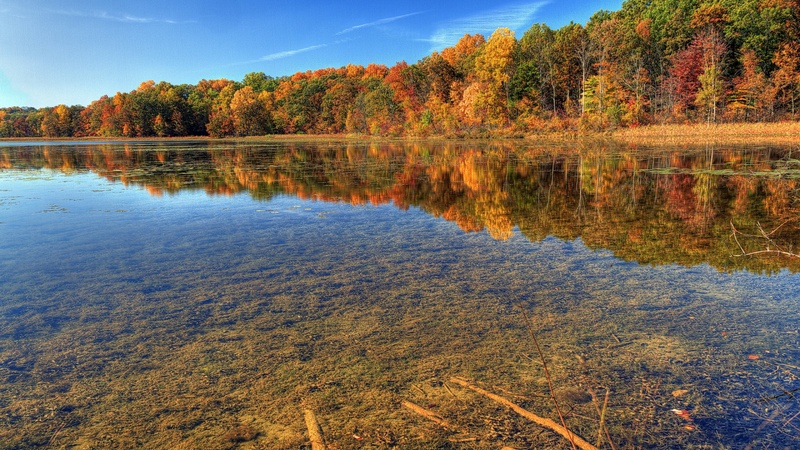 LakesnWoods.com would like to publish your Dover photos (current or historical) or historical accounts on this website. Original materials can be returned and your privacy will be respected. 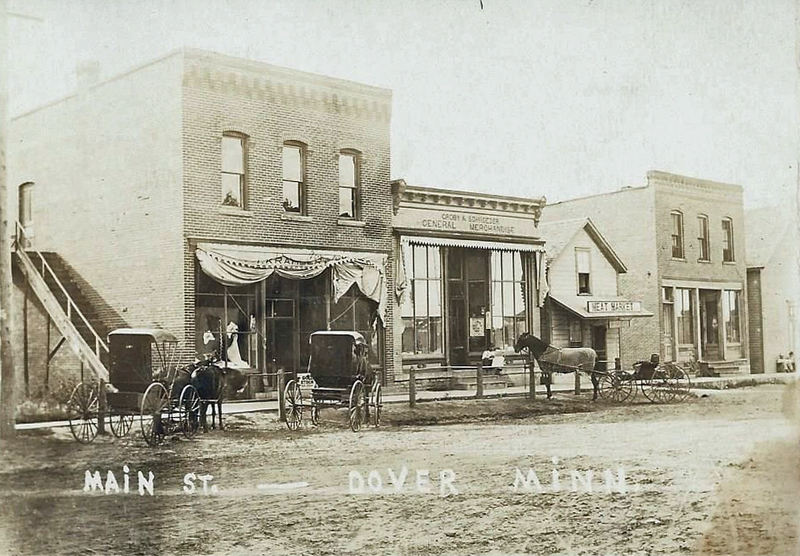 Dover is located in SE Minnesota, nestled between Eyota and St. Charles MN. Dover is conveniently close to Rochester MN as well. In 2000 the population was 438, and as the town continues to grow and develop, so does the population. 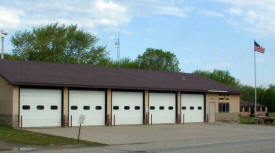 The City of Dover is located in Olmsted County and is bordered by Interstate 90, County Road 10, and Highway 14. Through the valley at the north edge of town runs the Whitewater River. From tree-lined streets to newly developed subdivisions - Dover is the epitamy of small-town living. Dover is a city in Olmsted County, Minnesota. U.S. Route 14 is the main route serving the community. 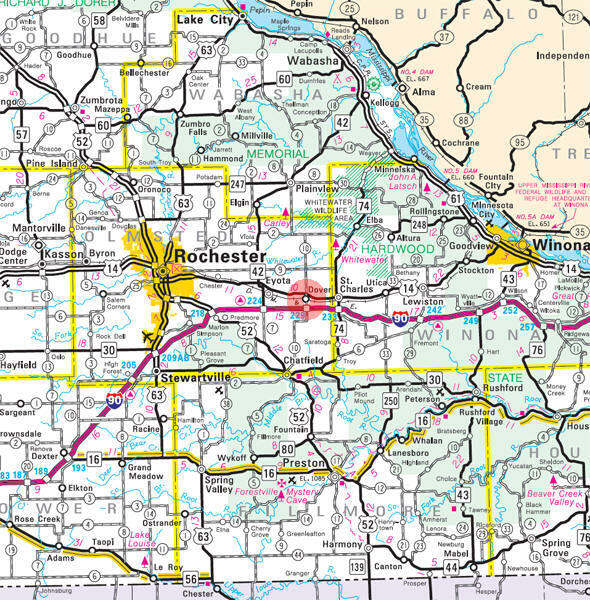 Interstate 90 is immediately south of the city. The south branch of the Whitewater River passes through the northern edge of the city. According to the United States Census Bureau, the city has a total area of 1.00 square mile (2.59 km2), all of it land. The elevation is 1,155 ft (352 m). As of the census of 2010, there were 735 people, 261 households, and 200 families residing in the city. The population density was 735.0 inhabitants per square mile (283.8/km2). There were 282 housing units at an average density of 282.0 per square mile (108.9/km2). The racial makeup of the city was 95.6% White, 0.4% Asian, 3.0% from other races, and 1.0% from two or more races. Hispanic or Latino of any race were 4.2% of the population. There were 261 households of which 49.8% had children under the age of 18 living with them, 63.6% were married couples living together, 8.0% had a female householder with no husband present, 5.0% had a male householder with no wife present, and 23.4% were non-families. 20.7% of all households were made up of individuals and 3.8% had someone living alone who was 65 years of age or older. The average household size was 2.82 and the average family size was 3.23. The median age in the city was 29.7 years. 34% of residents were under the age of 18; 5.3% were between the ages of 18 and 24; 37.1% were from 25 to 44; 19% were from 45 to 64; and 4.6% were 65 years of age or older. The gender makeup of the city was 48.8% male and 51.2% female. DOVER Township, originally named Whitewater in 1858 for its river flowing east into Winona County, was organized in May 1859, being then renamed for Dover in New Hampshire, whence some of its settlers came. The city of this name in sections 21 and 22, platted in the spring of 1869, was at first called Dover Center, from its location at the center of this township; it was incorporated as a village on December 22, 1908, and separated from the township on February 26, 1909; the post office, established in 1858, was known for a time as Dover Centre. For all your chemical and insecticide needs, Bedtke Bros Feed & LG Seeds of Dover, MN is the name you can trust. We have been providing quality products at reasonable prices, and the best services since 1979. Let us put our experience and expertise to help you with all your feeds and feed dealer needs. Doug Peterson Construction offers home construction services in the Dover, MN area. We provide professional and quality work personalized for your needs. 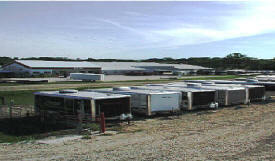 Ferguson Trailer Sales Has Been In Business for over 25 Years. With Over 15 Different Lines Of Trailers From Tow Dolly's To Travel Trailers. Ferguson Prides Themselves In Having The Lowest Prices Possible, and the Highest Quality Possible, With A Small Town Atmosphere And Excellent Service. With 4 Other Businesses On Site For Your Convenience, C.F. Welding, C.F. Forks and Ferguson Trailer Transport, Ferguson Truck Sales. Ferguson's Can Help You With All Your Truck &Trailer Needs. 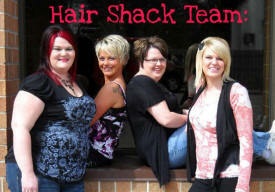 The Hair Shack is a Hair salon/day spa located in downtown Dover, Minnesota. We offer a variety of different services including haircuts, colors, pedicures, manicures, massages, facials, waxing and tanning. 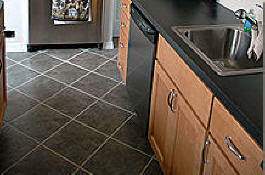 T & R Flooring Inc. offers a wide variety of quality flooring to the Dover, MN area. From new construction to home remodeling, our highly experienced staff can accommodate all of your flooring needs. T & R Flooring Inc. is the only call you’ll need to make for professional sales and installations.